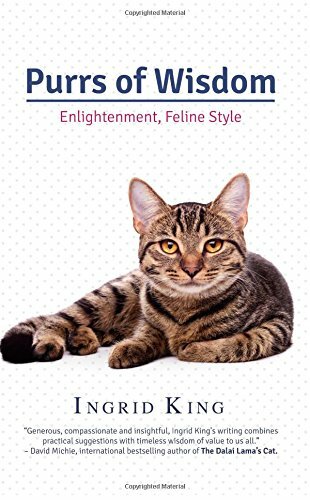 From the publisher: Ingrid King explores our relationships with cats by combining her professional expertise with compassionate insights into how cats can inspire, soothe and even help heal us. In Purrs of Wisdom, King artfully delivers pearls of wisdom celebrating all our relationships, feline, human or otherwise. You’ll want to savor each chapter and purr-haps revisit those that strike a personal chord. "Find joy in the simple things. A perfectly brewed cup of tea or coffee, a book I've been wanting to read, and a cat or two curled up next to me or in my lap: what more does anyone need to be content?" That quote pretty much sums up my philosophy of life (and this blog), so I immediately knew this would be a book to treasure. I often read Ingrid King's writings and can't help but think she must have been a cat in a previous life. 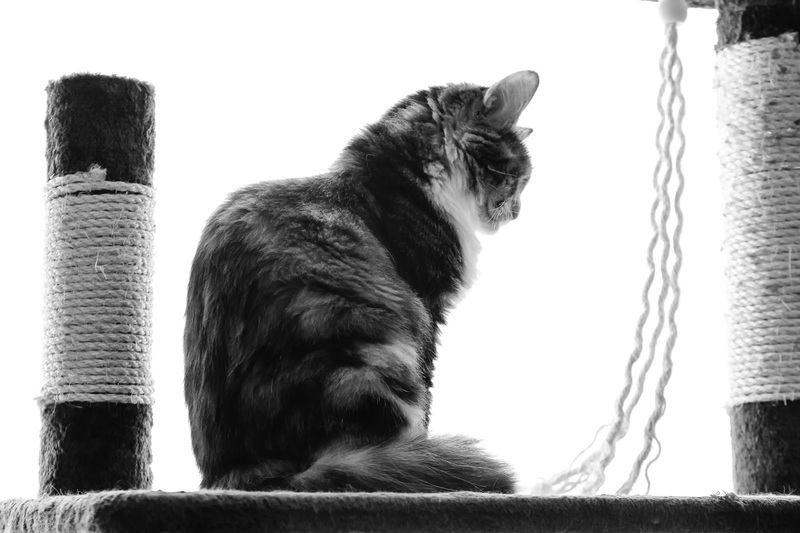 Her depth of understanding of our feline friends is quite extraordinary, and in Purrs of Wisdom, applying that knowledge to show us all how to lead a more meaningful life, is nothing short of brilliant. I read Purrs of Wisdom in a single sitting, but marked page after page of passages that I plan to revisit. From our home lives to our work lives to the relationships that make our lives complete, we have so much to learn from these precious creatures we've chosen to share our homes with - if only we would take the time to stop and listen. This book celebrates the bliss that comes from spending time with cats. Purrs of Wisdom is available on Amazon today and in bookstores everywhere on June 5th. FTC Disclosure: I received a copy of this book from the author. Receiving the free copy did not influence my review. 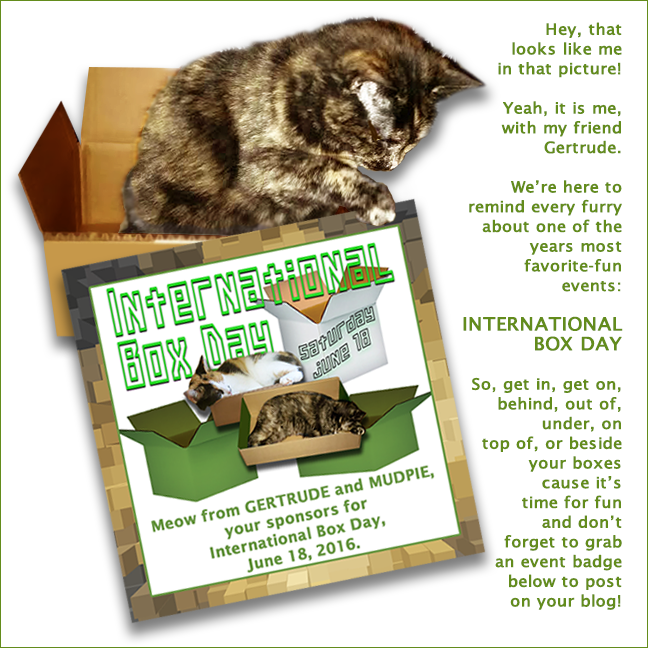 On Mother's Day morning cat moms across the country were tearing into their special edition CatLadyBox...here's what they found inside!!! Featured Cat Lady Artist Artistic Side of Life: This print was inspired by artist Maya Mladenovic's kitten Mimi, who is making Maya see the world through her eyes. I love the retro look. World's Best Cat Mom Mug (CatLadyBox exclusive): Yes, I know I am! 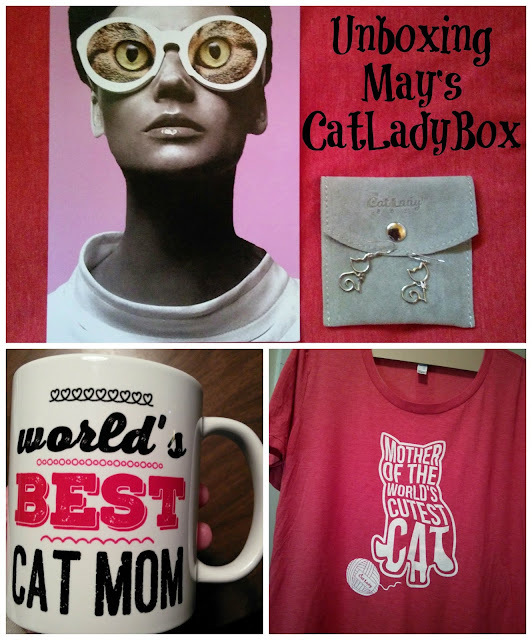 Mother of the World's Cutest Cat Shirt (CatLadyBox exclusive): Again, I know I am! On a side note, CatLadyBox shirts are *so* ridiculously soft and comfy! Shining Star Cat Earrings: I don't have pierced ears so these little darlings will probably be some lucky friend's Christmas gift! It seems like each month one of Mudpie's goodies is a huge hit and the other isn't. In May's box she got an adorable Happy Flower by Loopies which truly sent her "loopy" the first time she played with it. In some boxes there was a grouchy face flower too. 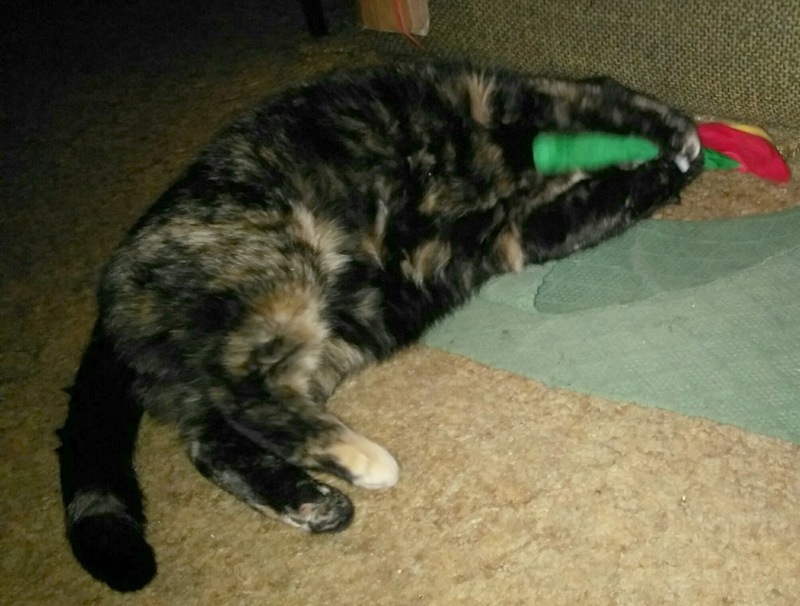 The Catnip Heart by Imperial Cat hasn't been played with a ton yet but I figure any day now she'll put it out and think, "Where did this come from???" 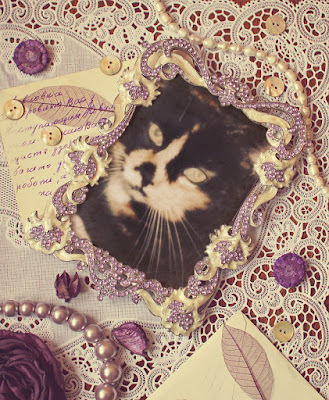 Many, many thanks to all of you for the purrs and prayers you sent to my Grandpa this week. He's back home and doing as well as can be expected for someone who had his carotid artery cleaned out. Yuck. Mommy and I are just plain pooped out from helping to take care of him and fighting 90 degree heat so we're planning to get as much rest this holiday weekend as possible. Sebastian`s life was hard from the very beginning. For years my mom and I would watch him across the street and our hearts would break seeing him out in every form of inclement weather. Not wanting to start trouble with the neighbors we kept our mouths shut. 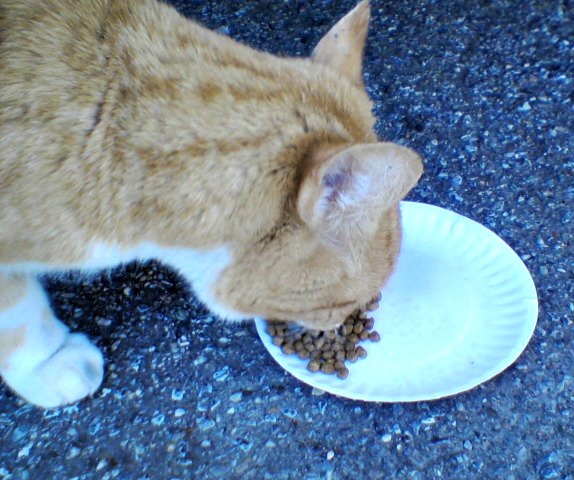 Then his family moved away and left him in the care of the elderly couple next door. Finally things seemed to be looking up for him until the wife passed away and a caretaker moved in with the husband. Once again Sebastian was pushed outside and we feared shelter-bound, so little by little we started inviting him into our home. It wasn't easy turning a cat who had practically never seen the inside of a house into a housecat but we did it and for three years he was a cherished member of our family. Then during the summer of 1996 we started noticing he was spending more time by his water bowl and the litter pan needed to be cleaned more often. Naively we chalked it up to the summer heat but by late September there was no improvement. A visit to the vet confirmed our worst fears: Sebastian`s kidneys were failing and nothing could be done. We were sent home with instructions on how to administer sub-q fluids to prevent dehydration for what little time he had left. 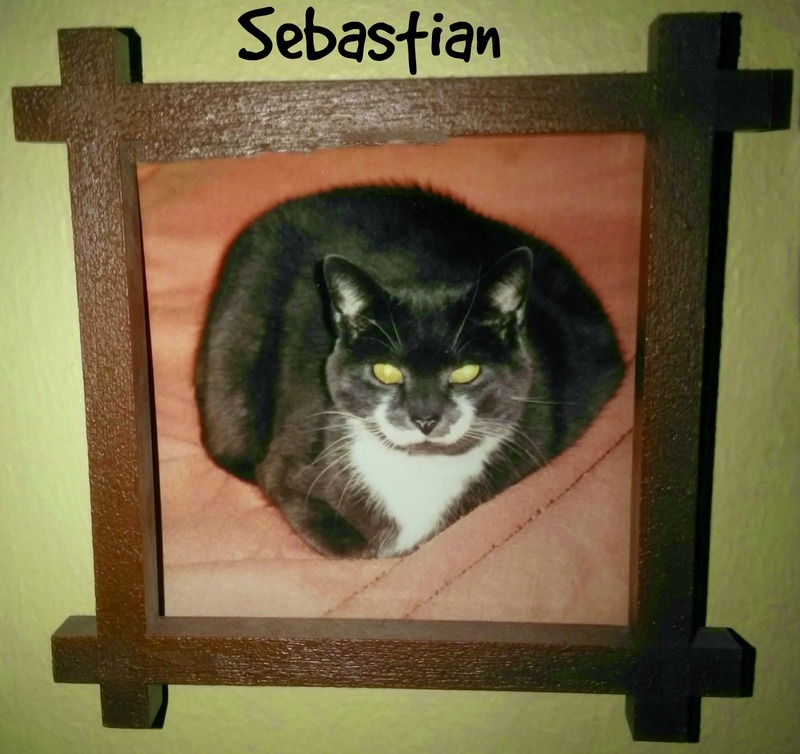 On January 8, 1997, just over three months after diagnosis, Sebastian was gone. Tragically there's not a single thing about Sebastian's story that's uncommon. 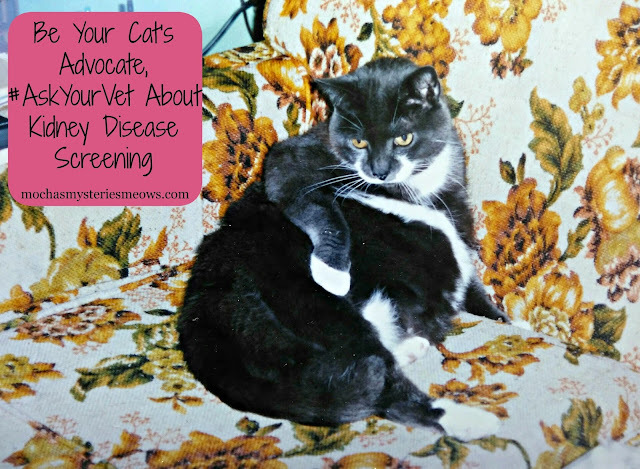 Kidney disease is a leading cause of death for cats, just as heart disease is for humans. 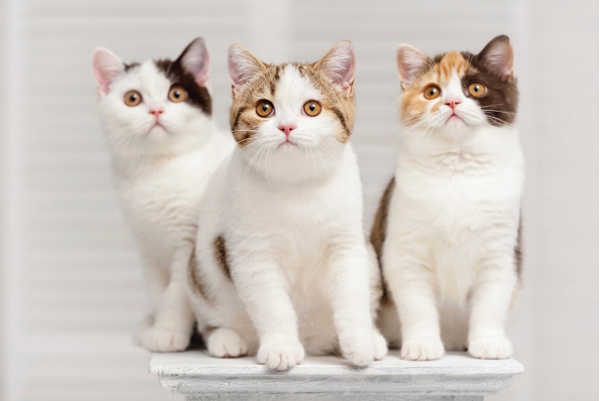 Over 1 in 3 cats are likely to develop kidney disease in their lifetime, and as they age the likelihood of developing it increases. 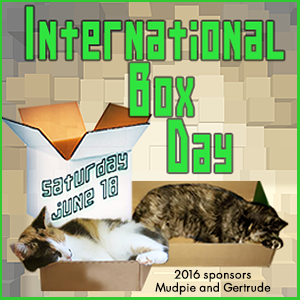 In fact, more than half of cats over 15 are afflicted. Since cats hide illness so well they typically show no symptoms (such as drinking and urinating more than normal) until their kidneys have lost most of their function - permanently. Now IDEXX SDMA™, a breakthrough new test that screens for chronic kidney disease, can detect this serious disease months to years earlier, when there is still time to do something about it. This is great news for cats, as IDEXX SDMA™ can detect kidney disease when much of a pet's kidney function is still intact, giving you and your veterinarian the chance to take action and give your pet the best shot for a healthy, happy, long life - even with kidney disease. The IDEXX SDMA test is available to all veterinarians in the U.S. and Canada. Even better, 2 in 5 veterinarians in the U.S. are already including IDEXX SDMA in their routine testing, almost always at no added cost. If your veterinary hospital is not doing so, just ask your veterinarian to send your pet’s samples to IDEXX’s Reference Laboratories. YOU are your cat's best advocate. Ask your veterinarian for the IDEXX SDMA™ kidney screening test at your next appointment! Have you had experience with feline kidney disease? This is a sponsored conversation written by me on behalf of Pet Health Network®. The opinions and text are all mine. Could I ask you all to purr for my Grandpa today? He's having surgery and I'm really worried about him. He and Mommy need to be at the hospital by 6am (GASP!) and I'll most likely be alone for much of the day. Here's the thing about my Grandpa...he was never much of a "cat guy" until Mommy adopted Tara and then Truffles...and boy oh boy does he ever love me! Please keep him in your thoughts today. I'll update everyone when I can. How Do Resident Cats Feel About Foster Kittens? Mudpie Gets Answers! 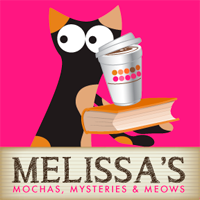 Since moving into my forever home with Mommy I've continued the tradition of interviewing the fictional felines that live inside the cozy mysteries we love so much. 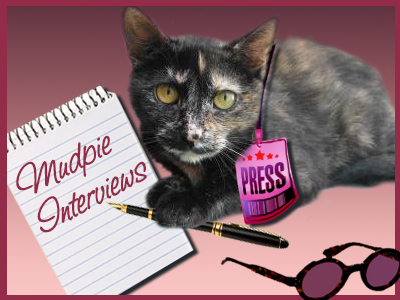 I've decided to expand on the idea with a series of cutting edge interviews with real live cats that have amazing stories to tell! 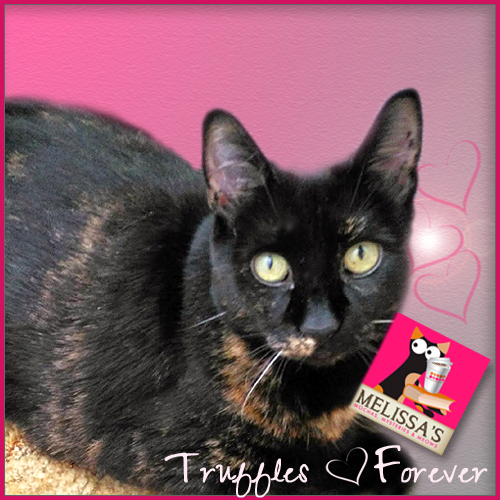 Every now and then Mommy says that if life ever calms down for us she would love to be a kitten foster mom. Now I understand how important it is for families to help these little tots just starting out in life, but I'm still left with a very important question: How would fostering kittens affect me? 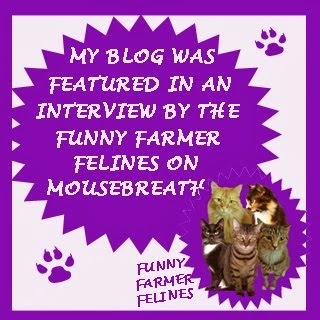 I decided to ask my friends Shadow and Frosty from SoPurrfect.com about their lives now that foster kittens have come into their home, and we invite you to visit their blog today to read kitten Ninja's post, A Day in the Life of a Foster Kittten. Mudpie: Welcome Shadow and Frosty! Thank you so much for taking some time to chat with me today. 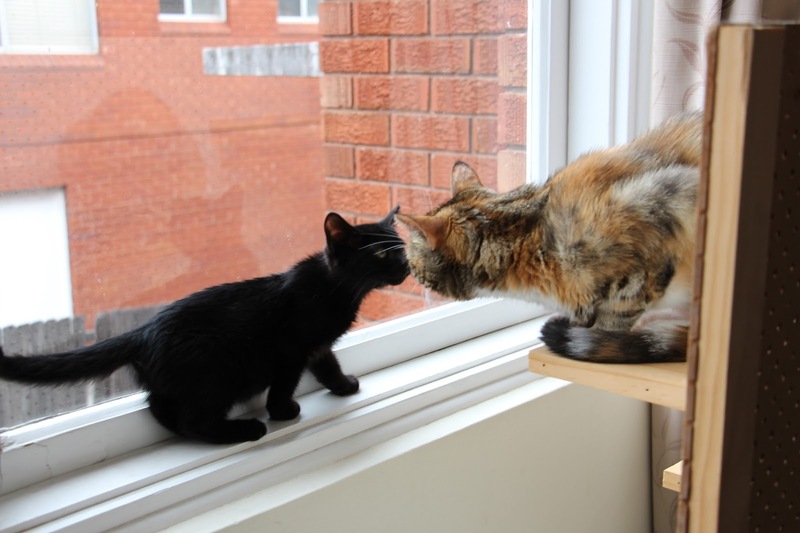 Could you start by telling us a little about yourselves and how you came to live with your humans? Shadow: Everyone gets us confused! We look so alike, sometimes; even our humans have trouble telling us apart. I’m the more beautiful one! My fur is sleeker; I’m also shyer than Frosty. She has such a big personality and she likes things a certain way. F: Our humans have been with us for about 6 years. It’s actually a funny story because when they came to the RSPCA (the local animal welfare shelter in Australia) it’s was the girl human who wanted two kittens, the boy human thought one would be enough. Luckily, he was a smart man and realised that two cats are always better than one. S: He actually picked out Frosty first because she was more active, she ran right up to the cage and started trying to play with him. I was just waking up from a sleep and was more quiet. I can also be really shy and there were just so many people around! F: Yeah, and because they were getting two kittens the shelter staff let them take me from Shadow and put me in a room with the humans and some other kittens to see who I would get on with the best. They didn’t think it through because it was scary and I missed Shadow. S: They wised up pretty quickly, because before you know it we were in a cage together and off we went and we’ve been together ever since. I understand life has changed for you in recent months thanks to the addition of foster kittens to your home. How did that happen and did you have any say in the matter??? F: We didn’t have a say at all. One day, the humans came home with 3 kittens. We were really worried at first, because we weren’t sure what was happening. All we knew is that we had to share our food bowls, our toys and our best sleeping spots. I thought we were being replaced, but over time we have learnt the kittens come and go but we stay. S: The worst bit was when the humans came home from work we couldn’t sit with them on the couch without the kittens coming up to us. All they wanted to do was jump on my tail. I have slowly gotten used to it and now I just claim my spot with the humans. Do you have regular contact with the kittens and if so, what impact has this had on your daily lives? S: Do we have regular contact? Yes, yes we do. We have to teach them how to be a cat in a human world. The down side of having the kittens is obviously sharing things. The humans try and help by putting our food ‘up’ but the kitten food tastes better. We have had to share litter trays and they just leave it such a MESS! I know they’re young, but come on. F: I know! At night we all sleep in the laundry together. Luckily there are some spots up high that the kittens can’t get to, because otherwise it would just be too hard. What impact has this had on me? I’ve gotten stressed, mostly at the start. sometimes it gets a bit too much, Kittens have so much energy and we teach them when we’ve had enough and just want some alone time. The humans pick up on it and making sure I get enough alone time which is good. They give us a room all to ourselves for the day which helps us relax and reduces our stress. Did you have to rearrange your home for their arrival? S: Nothing much had to change; the biggest change was the extra litter containers. Now we have them in every room in the house. It’s convenient for us too, but we didn’t mind just having the containers in the bathroom. The kittens are small though; they’re still learning and can’t always make it to the bathroom when they’re that small. F: Having the extra containers was a change of convenience. The other fun change was that we get more toys now and I have to say, I’m starting to feel like a kitten again. Watching them running and playing really makes me want to play too and I’m loving it! You don't have to share your toys and treats with them do you??? F: That’s the worst part! We have to share everything. Luckily, when they come to us they are pretty small so can’t get up on to all the best bits of the cat tower that let you see out the window. Towards the end they learn to climb onto our secret spots which is annoying. Always climbing up to the top of the tower but then it’s not long until we get new small kittens and we have our high spots back. S: Yes, we have to share, but having the kittens means we get more toys because the humans see us playing with them. The kittens also wreck all the toys really quickly so the humans are buying new ones all the time. I heard them say that they just buy the cheap ones because the kittens are so rough with the feather wands and the mice. F: Yeah, that’s true. Some of our toys are really good and you can tell they’re quality toys. The kittens haven’t been able to break them, but the things like small balls, toys and wands we get new and different ones all the time! 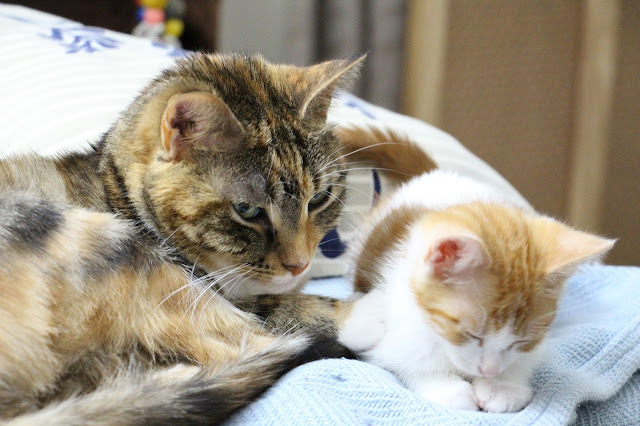 What should humans (and their cats) take into consideration before applying to become a foster family? S: I think space is a big one. You need to make sure any cats (or dogs) that you already have need to be able to have their own space. Frosty and I love being able to have some time out in the bedroom without the kittens and if we didn’t have that it would be way too stressful. F: I think humans should make sure to keep a “fostering free” space for us to help with stress, plus some one on one time. We’ve gotten used to it now and can see that these kittens come and go, and we will always be here. But at the beginning we weren’t sure what was happening and it really helped when we had quality one on one time with the humans. What would become of these kittens if there weren't nice foster families available to them? F: If there weren’t any foster carers the kittens would just sit at the shelter all day. If they’re lucky there will be volunteers coming in and playing with them, but otherwise they would be alone all day every day until they were old enough to be adopted. That’s a hard life. S: What makes it even harder is if the kittens don’t get used to humans when they’re young when they get adopted they may not have a good experience or the owners might bring them back because they’re too shy or scared or not snuggly enough. That’s why I tolerate having the kittens at home, because I know it’s like as we were both foster kittens once ourselves. Having foster parents is the best thing for them. What comes next? How long will these babies be with you, and will more be arriving once they're gone? S: We always have kittens now, Kittens, kittens, kittens. The humans say that it’s because it’s kitten season and the RSPCA sometimes gets as many as 75 kittens a day! – and that’s just one centre! So many kittens need a loving foster family. Luckily, our humans don’t take 75 kittens home to foster! F: You never know how long the kittens will be with us. Sometimes they are very quick just one or two weeks and they are gone. It doesn’t give you much time to get used to them. Other times they are so small when they come and they have a lot of growing to do, those ones we can have for up to 8 weeks. You see, they need to be a certain weight before they can be de-sexed and adopted out like we were. Sometimes it’s hard for the kittens to gain weight because they might be sick and so then the humans have to give them medicine to make them better. It all adds time. Would you care to turn the keyboard over to the wee ones for some final thoughts? S: They’re really busy running around at the moment… it’s that time of day. Once they stop running they’ll fall asleep. I can hear them chanting “fun fun fun fun fun fun” as they run past. Thanks so much for the insight, Shadow and Frosty! Now click on over to meet baby Ninja in his post A Day in the Life of a Foster Kitten. Tired of waiting tables at Lou’s Joint, Amy Flowers doesn’t just quit—she offers to buy the place from her bully of a boss, so she can finally open the café of her dreams. Amy can't wait to serve the kind of Southern, down-home treats and dishes that her grandmother always loved to the kooky cast of regulars at the restaurant. She knows her comfort food will be the talk of the sweet, small town of Winter Garden, Virginia. 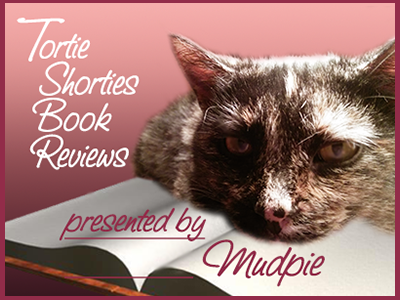 Tortie Shorties Review: Southern fried fun at it's finest! Amy Flowers is fed up with her waitress job at Lou's Joint and being constantly bullied by owner Lou Lou. Wanting to open her own cafe, she offers to buy the place, knowing she can make a huge success of it. But she's met with a resounding "no". Lou Lou's son Pete wants her to sell, as he's ready to break out from under his smothering mother's thumb, but on the night he schedules a meeting between himself, his mom, and Amy, Amy finds Lou Lou dead in her office. Pete immediately goes through with the sale, but under a cloud of suspicion for the murder, how is Amy ever going to make her dreams come true? 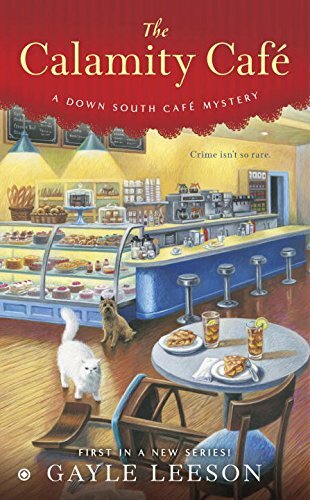 Assisted by a cast of characters which includes the quirky cafe regulars, her friends and family, and the cop she's crushing on, Amy uncovers a great deal of skeletons in Lou Lou and Pete's family closet leading to no shortage of suspects. The story flows seamlessly culminating in a very satisfying conclusion. A word of warning...don't read this cozy on an empty stomach because you'll find yourself longing for a plate of some down home goodness. From the publisher: Animal photographer Janet MacPhail has just arrived at a sheep herding competition with her Australian Shepherd, Jay, when she learns that two-dozen sheep have disappeared. Police think the animals have wandered off, but Janet is convinced they’ve been stolen. Janet knows she should leave the snooping to the police while she attends to her own problems—new living arrangements, her mom’s wedding plans, puppy and kitten antics, and extremists bent on keeping people from having pets. But when a livestock handler turns up dead, the police and a pair of thugs pay Janet way more attention than she likes. Setting out to find answers, Janet puts herself in the killer’s crosshairs. Tortie Shorties: I love how each book in Sheila Webster Boneham's Animals in Focus series revolves around an animal sport of some sort. 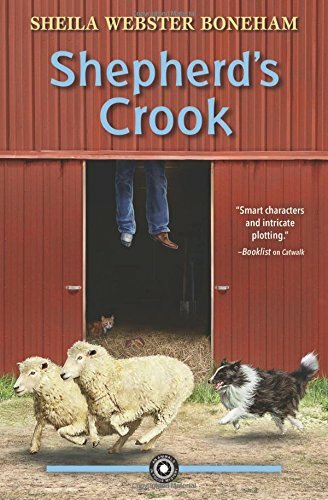 In Shepherd's Crook, Janet steps into a heap of trouble when she attends a sheep herding competition. Chaos erupts when sheep go missing, and then the next morning their handler Ray is found hanging in a barn outbuilding. The sheep's owner Summer also goes missing and two goons arrive in town hot on her trial, but end up stalking Janet believing that she knows Summer's whereabouts and has incriminating photos of them. Janet finds herself looking over her shoulder at every turn in fear of what they're planning. In this series pets aren't just sideline characters, they are a prominent part of the story and often involved in the mystery itself. Janet has a dog, a cat, and a new kitten, and her boyfriend Tom has a dog and new puppy. 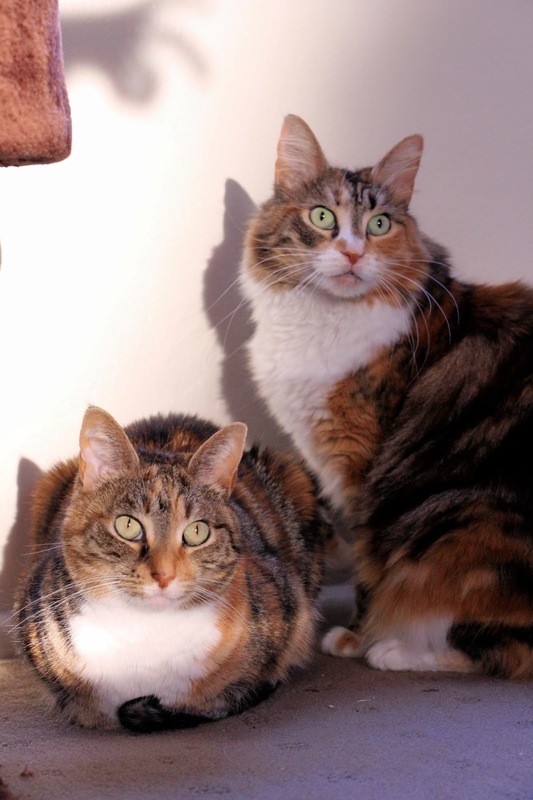 As they make final preparations to take the plunge and move in together, imagine their horror when Janet's new neighbor is hell bent on passing a city ordinance limiting the number of pets allowed per household! Janet's mother's wedding is looming at the nursing home with it's multitude of preparations, and even her training center sessions aren't stress free with a group of animal rights extremists calling for the "liberty" of all pets. All of these storylines come together in a twisted tale of blackmail, corruption, and fake identities. Everything is revealed in one of the very best "killer capture" scenes I have ever read!!! 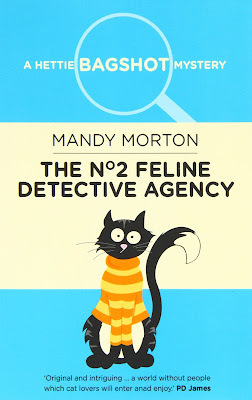 Mommy has been thinking about writing a series of short stories featuring me as a feline detective for a few months now. She asked Ann to help us create a graphic hoping it would inspire her creativity. We could think of no better time to debut them than today, Sherlock Holmes Day! Aren't they amazing??? We love how even the deerstalker hat is in our blog colors. Now tell Mommy to get cracking on writing those stories!!! I never knew her, but Mommy told me that yesterday (5/20) would have been Angel Tara's 9th Gotcha Day. 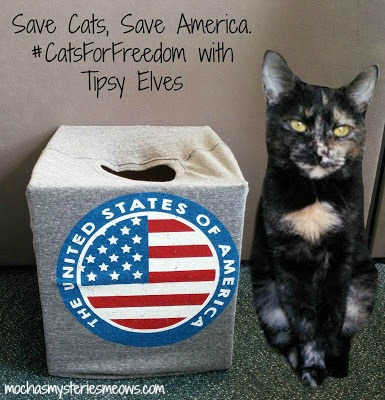 Tipsy Elves, a company best known for their line of ugly Christmas sweaters, is aiming to make election season a little more fun...and beneficial for cats too!!! 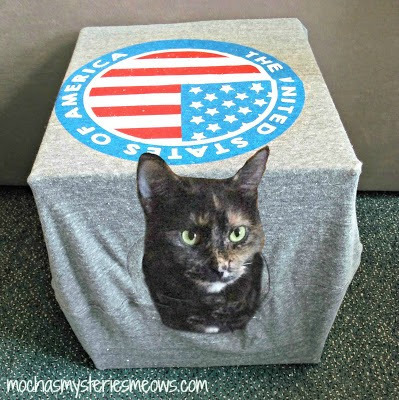 When they sent us this link to a video showing how to create a Patriotic Cat Cave using one of their American flag t-shirts and a box, we could barely handle the cute. This is a DIY project simple enough even for me, so Mudpie immediately put me to work. The finished product gives kitties a warm and cozy new place to hang out, and even if your cave doesn't turn out as purr-fectly as the one in the video, they won't mind a bit! 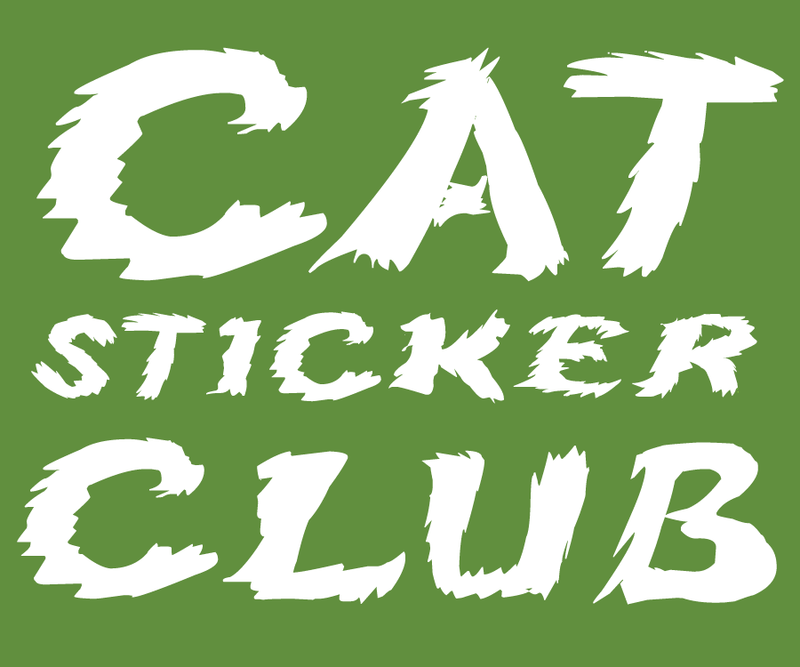 Here's the most pawsome thing about this project: as part of the #CatsForFreedom Initiative, Tipsy Elves will be donating 10% of all orders placed on their website using the checkout code ‘CATS’ until 5/31 to the San Diego Humane Society, which provides cats of all ages the resources to live freely. 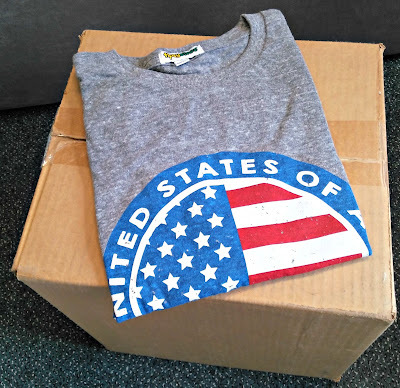 With that in mind why not pick up a shirt or two for yourself in addition to the one you make your cat cave out of...after all, our country's treasured patriotic holidays are right around the corner! Disclaimer: We received product compensation in exchange for featuring this content. All opinions are our own and we never recommend a product we don’t fully believe in. 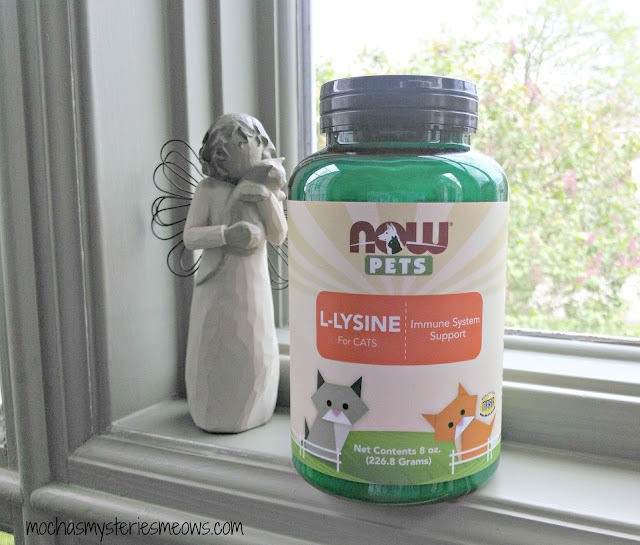 As the big 4-0 looms before me I find myself adding more and more dietary supplements to my own daily regimen, so I was very excited to hear that one of the most popular brands for human supplements now has a line for our pets as well! The NOW® Pets line of quality pet supplements was created to support and maintain pet health and well-being. Developed under the guidance of Dr. Barbara Royal, DVM, CVA, a renowned Midwestern veterinarian and pioneering expert in holistic animal care, NOW® Pets offers products specifically tailored to address today's most common pet health concerns. NOW® Pets currently offers eight quality supplements for 1) Weight Management, 2) Joint Support, 3) Immune Support, 4) Omega-3 Support, 5) Pet Relaxant, 6) Urinary Support, 7) L-Lysine Pure Powder, and 8) G.I. Support. I'm a huge proponent of supplements because in my experience they've been a godsend. 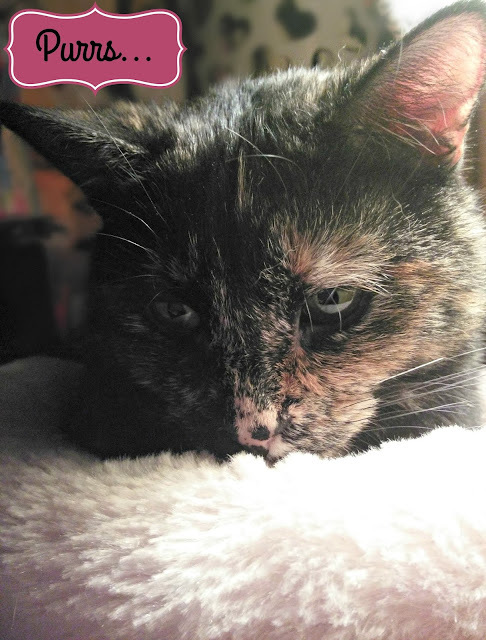 Long time readers might remember that in the last couple years of her life my Angel Tara suffered from a great deal of serious health issues. Because her heart was so weak there were some things we just weren't able to treat as aggressively as we would have liked, so with the help of a holistic veterinarian Tara was given a regimen of supplements and holistic treatments in addition to the many traditional medications she was prescribed. I strongly believe this approach made the difference in blowing her three month life expectancy out of the water and giving us nearly another year together, a feat that stunned her veterinarians. When Mudpie's respiratory issues began I knew I wanted to take a holistic approach again for as long as possible. There's just no way I'm willing to start her on a life of strong steroids at two years old when there are other resources available to us. Flower essences, salt lamps to purify the air, and unscented, low-dust cat litters have all become an important part of our daily lives. Further research led me to the benefits of L-Lysine for cats: supporting a healthy immune system, normal respiratory health, and maintaining ocular health. I can't tell you how happy I was to see that the L-Lysine comes in powder form! Cat moms have to use an arsenal of tips and tricks when it comes to medicating our strong-willed feline friends. 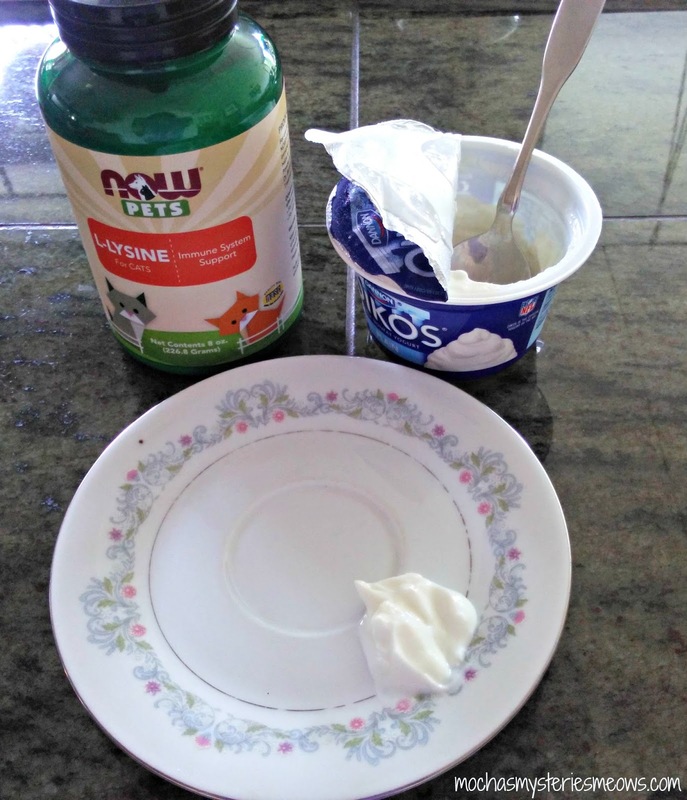 Here's what I do: Mudpie enjoys a taste of plain Greek yogurt each morning, so using a toothpick I mix the suggested 1/8 teaspoon of L-Lysine powder right into the yogurt...and she doesn't suspect a thing! Once again Tara was the inspiration for this trick. Many of her supplements came in capsule form, so I would empty out the capsule and put the powder into her favorite treat...believe it or not, Cool Whip! In business for more than 45 years, NOW® Foods, NOW® Pets parent company, is one of the natural products industry's oldest and most respected manufacturers of supplements, natural foods, sports nutrition and personal care products. With their expertise in natural products and ingredients, and access to supply chains of the highest quality natural raw materials, NOW is a "natural" fit for premium pet nutrition. It's always important to let your veterinarian know about any supplements you're thinking about giving to your pet. In my experience it's a discussion well worth having. And remember: holistic remedies aren't a "quick fix". It can take some time before their full effect is made clear. But patience is a virtue and good things come to those who wait! To learn more about NOW® Pets supplements visit nowpetsupplements.com. Click on the Store Finder to find a store near you that carries NOW® Pets. Visit NOW® Pets on social media: Facebook, Twitter, Pinterest, and Instagram. 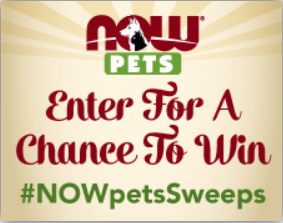 We encourage you to enter the NOW® Pets Sweepstakes, running from April 18 though May 31, 2016. For every entry, NOW will donate $1.00 to Best Friends Animal Society...up to $5,000. Four lucky entrants will win more than $350 in NOW® Products!!! 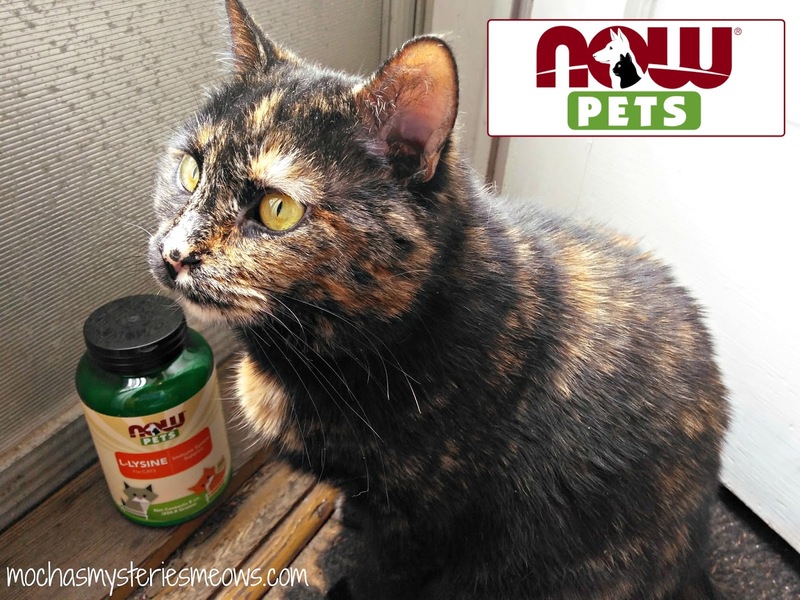 Have you ever given your pet(s) a supplement? 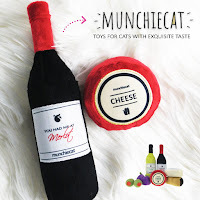 This month's Chewy.com blogger outreach email came stuffed full of wet food choices that would make Mommy deliriously happy if I'd only be willing to eat it. Knowing that it's hopeless and I would merely lick the gravy out I talked her into letting me request Petcurean's new Now Fresh Grain-Free Adult Recipe dry food. 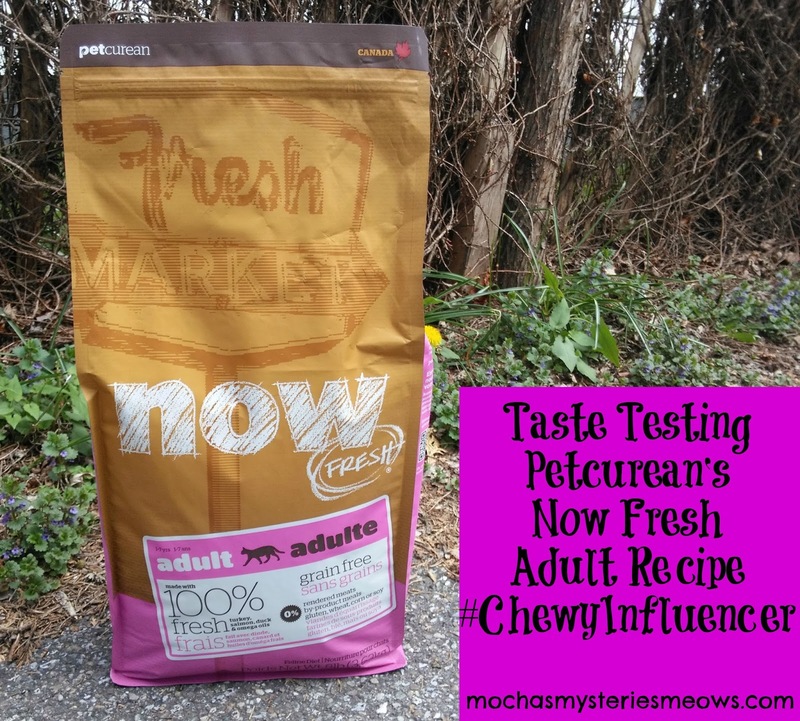 Petcurean is a brand we've heard really good things about, and since I refuse to give up my kibble Mommy wants me to have the best quality we can find. It's no surprise that cats love the freshness of now. With this Now Fresh Adult Recipe, your cat gets 100% fresh turkey, salmon and duck, and 100% fresh omega 3 & 6 oils from coconuts and canola. It also features wholesome berries, fruits and veggies such as peas, spinach, cranberries, pumpkin, blackberries, alfalfa sprouts, kelp, lentils and carrots. Yum! It contains zero grains, gluten, wheat, beef, corn, soy, rendered meats, by-products or artificial preservatives. This recipe is suitable for cats between 1 and 5 years of age. So what did I think? 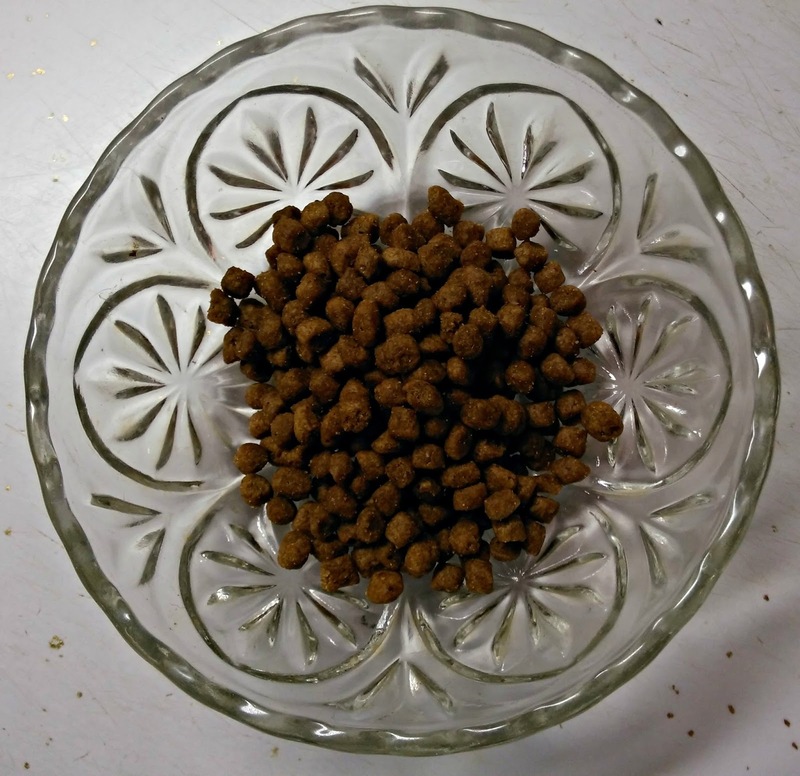 Strangely enough, kibble fanatic that I am, I picked at it but definitely still prefer eating my regular food! Mommy was quite surprised and a little disappointed too. As I typically do when a new food doesn't strike my fancy I sought a second opinion from my friend Milo. He loved it and dove right in! Since Chewy.com is incredibly generous and sent me an 8 pound bag (a $39.99 value! ), I'll most likely keep a portion to give Milo as a treat when he visits and donate the rest of the bag to our favorite shelter. That bag will feed a lot of hungry tummies! Disclaimer: This food was sent to us for free by Chewy.com as part of their Blogger Outreach Program in exchange for an honest review. All opinions are our own and we never recommend a product we don’t fully believe in. 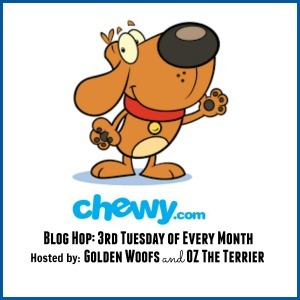 We're excited to be linking up with the Chewy.com Blog Hop hosted by our good friends Oz the Terrier and Sugar the Golden Retriever. What do you think of our brand spankin' new Tortie Shorties graphic? Four paws up to the amazing Ann at Zoolatry for giving it a more professional look. From the publisher: Hettie Bagshot has bitten off more than any cat could chew. As soon as she launches her No. 2 Feline Detective Agency, she's bucketed into a case: Furcross, home for slightly older cats, has a nasty spate of bodysnatching, and three of the residents have been stolen from their graves.Hettie and her sidekick, Tilly, set out to reveal the terrible truth. Is Nurse Mogadon involved in a deadly game? Has the haberdashery department of Malkin and Sprinkle become a mortuary? 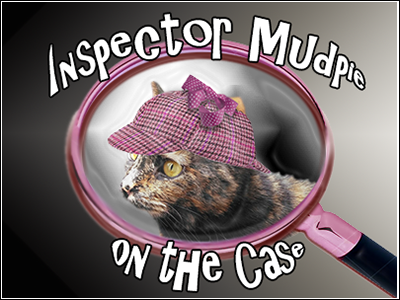 And what flavour will Betty Butter's pie of the week be?In a haze of catnip and pastry, Hettie steers the Furcross Case to its conclusion, but will she get there before the body count rises - and the pies sell out. 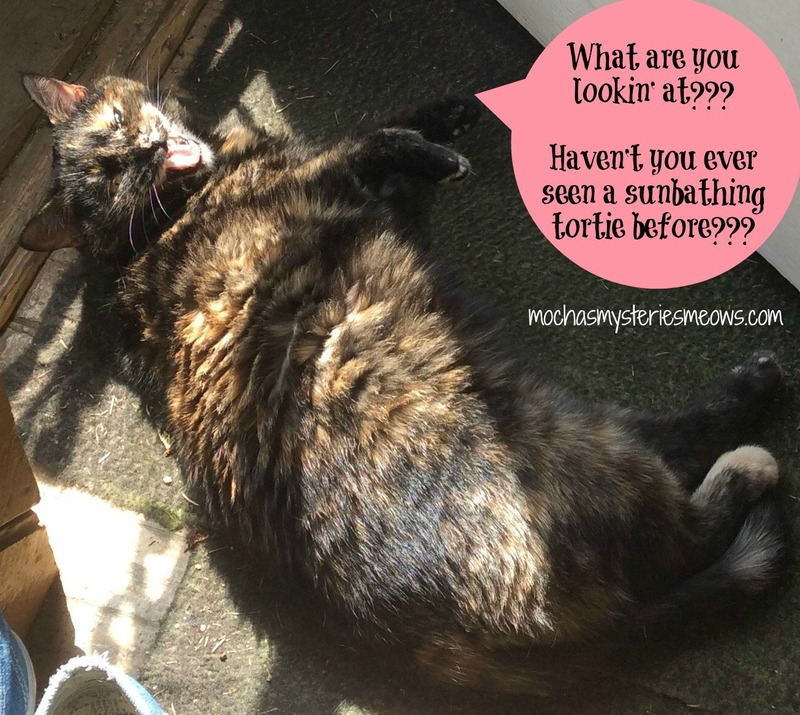 Tortie Shorties Review: In a word, brilliant. While it goes without saying that my favorite mysteries are cat cozies, this series goes a step beyond that with the entire cast of characters comprised solely of cats. That's right...in this little world there are no people, just cats. Book me a one way flight, please!!! Hettie Bagshot and her sidekick Tilly have opened up the No. 2 Feline Detective Agency in order to help pay the rent on their back room apartment in a bakery. A call comes in from Marcia Woolcoat, matron of the Furcross home for slightly older cats with a report of missing residents. Hettie's answer? 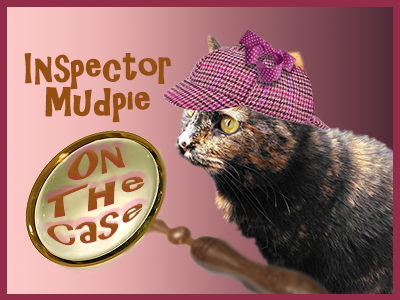 "These cases can be tricky, though, and we rather prefer it if the missing cats are dead. That way, they don't mind as much if it takes us a while to find them." Luckily for everyone involved, these cats are already dead. Stolen from their graves, in fact, after taking advantage of Furcross's special "Dignicat" service, in other words assisted suicide. Yes, it sounds morbid, but trust me, this book is hysterically funny (even when more dead bodies start piling up) and I became completely engrossed in the cozy little lives of Hettie, Tilly and their friends. 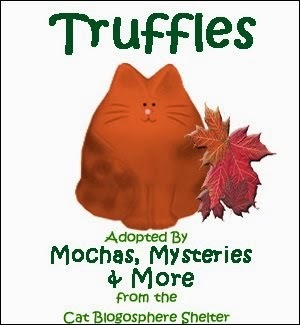 Subsequent books in the series, Cat Among the Pumpkins, June's The Death of Downton Tabby and October's The Ghost of Christmas Paws are all available from Book Depository with worldwide free shipping. And once you read this first book I guarantee that the rest of the series will end up in your To Be Read pile! 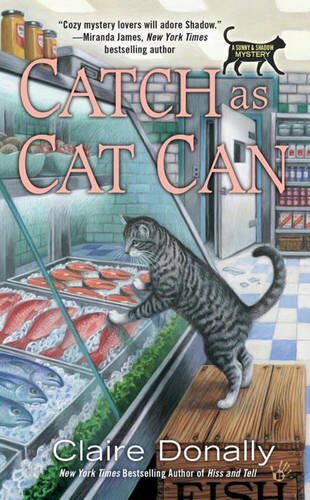 From the publisher: When a new seafood shop opens in Kittery Harbor, Maine, Sunny’s tomcat Shadow is on the hunt for tasty treats—until Sunny discovers a cold-blooded killer’s catch of the day. Neil Garret is new to town, but his seafood shop is already going belly up. Working next door, former reporter Sunny Coolidge can’t help noticing the telltale signs. But checking on Neil one morning reveals something far worse for business than a lack of inventory—a mysterious man lies murdered in his freezer. Sunny’s boyfriend, Chief Investigator Will Price, nets Neil as the prime suspect. But even when Sunny learns about Neil’s secret past, the open-and-shut case seems fishy. Now it’s up to Sunny to find the real culprit and get Neil off the hook. Tortie Shorties Review: I need to preface this review by saying that I *adore* the Sunny & Shadow mystery series. Over the last few years I've found it to be one of the most under-rated cat cozies on the market today. Shadow and his thoughts on the humans in his life is simply adorable, and I love the relationship between Sunny and her father. The Maine setting is just the icing on the cake for me. That being said, this fifth book in the series fell flat for me. I was sure it was going to be another winner in the beginning as Shadow found ways to sneak into town with Sunny because the new tenant next door to her office is a seafood shop and he's befriended fishmonger Neil because he dishes out tasty treats. Then Shadow finds himself in a very scary situation and we learn it's because of Neil's dangerous past, which also leads to a dead body in his freezer. But then between the witness protection program, the feds getting involved, and the ultimate motive for the murder, I just found the whole thing completely confusing. Plus with "big city" crime coming to small town Maine, the book lost some of it's "coziness" for me too. With Penguin cutting so many cozy series, I can't help but feel this is most likely the last Sunny & Shadow mystery, which makes me even sadder. I hope I'm wrong. While this one was somewhat of a disappointment to me, I can't recommend the first four books in the series highly enough. Shadow is a heroic little guy sure to steal the hearts of cozy-reading cat lovers everywhere. 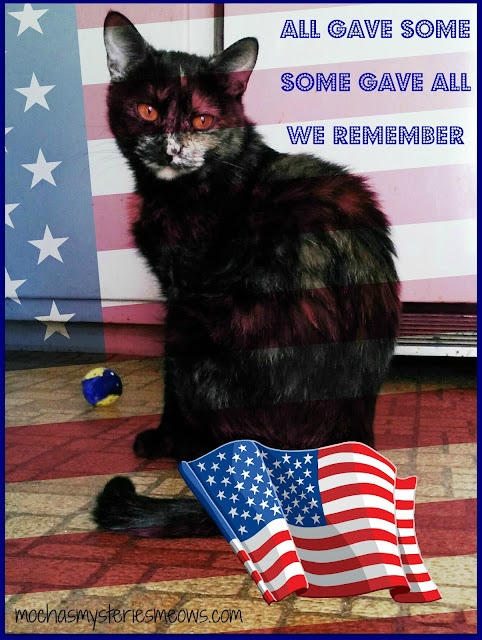 Mommy and I are lying low this weekend, recuperating after a week we'll never, ever forget. 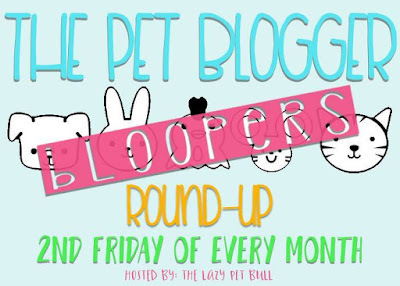 On Thursday we told you all about being named a Finalist for the BlogPaws Nose to Nose Pet Blogging and Social Media Awards in the Best Blog Post category. Then that morning Mommy got an email that we'd also received a Certificate of Excellence from the Cat Writers' Assocation with the opportunity to win a coveted Muse Medallion! This award wasn't for a particular blog post like the BlogPaws honor, but for our entire blog as a whole! 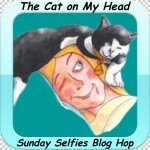 We were one of three recipients in the Blog/Any Other Topic alongside Pooh Hodges and Sparkle Cat featuring Summer!!! Needless to say, we've both been walking on air all week long. Writing about cats and pursing a career path because of her passion for cats has always been Mommy's dream, so this whole week seems to good to be true. And I'm the lucky kitty who gets to be her muse. We want to take this opportunity to thank each and every one of you for taking time out of your busy lives each day to visit with us. We cherish our little blogging community so very much!!! 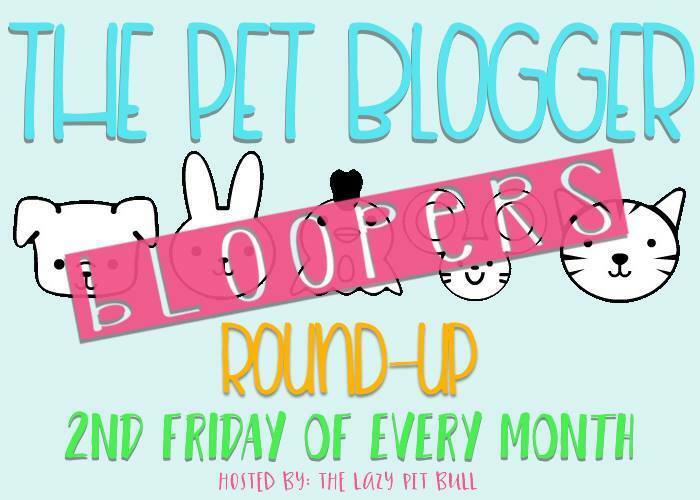 Apparently our monthly CatLadyBox post is blooper central because that's when ours took place again this month! Mommy says I'm like the Tasmanian Devil when I get new toys so she never knows what she's going to end up with when she starts snapping pictures of me playing. But when Mommy scanned through pictures from our latest photo shoot this one really cracked her up...where on earth is my head?? ?